Welcome to my new photo series which I’ve entitled #suffolkfolkphoto. Why, because it gives me the opportunity to get to know and photograph a variety of the counties more colourful, go-getting, influential and interesting characters associated with the beautiful county of Suffolk. My first subject is Russell Stowe. 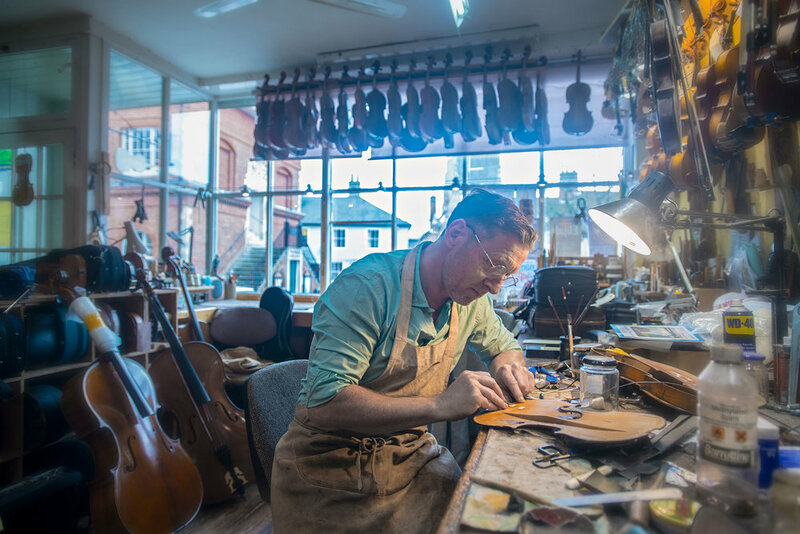 You would come across Russell’s acclaimed Woodbridge Violins shop when passing through the small square on Market Hill. 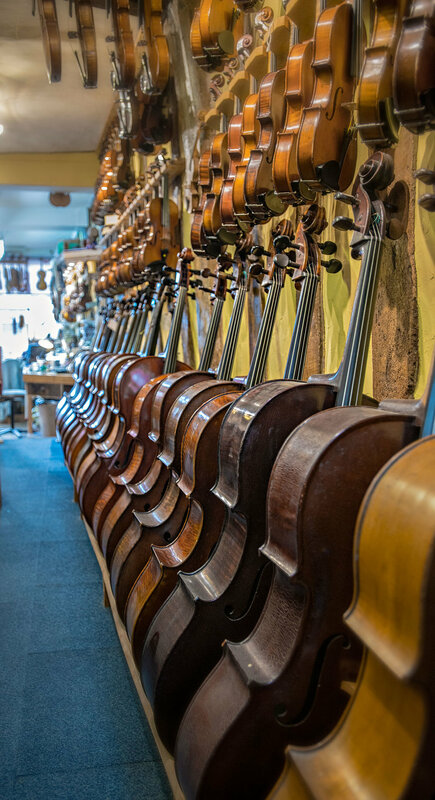 Russell has been making, restoring and repairing violins, cellos and Violas for around 30 years. 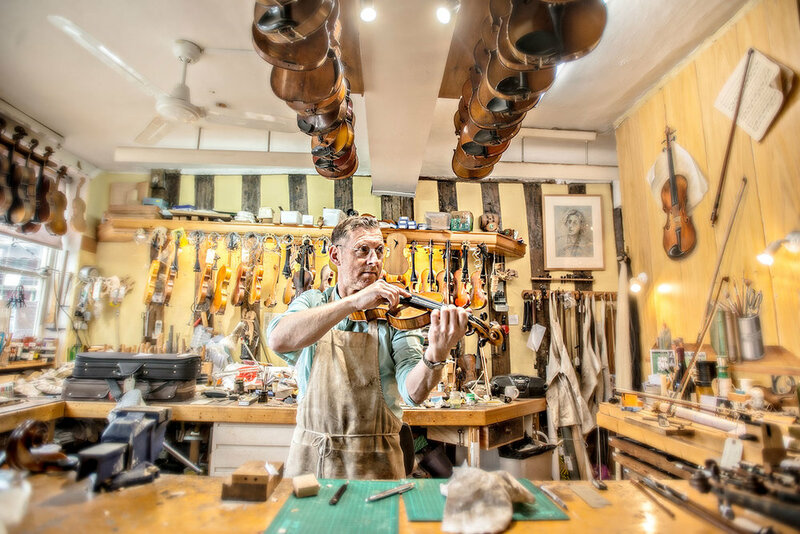 He qualified from the prestigious Newark School of Violin Making and has been at his present premises since 1991. 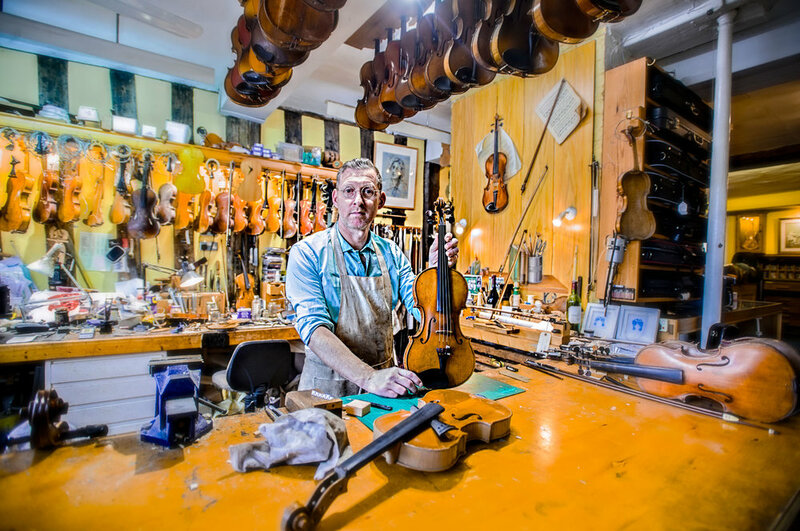 Russell was given his first Czechoslovakian violin at the age of 11 from his parents, but progressed into making and repairing the instruments professionally rather than playing. His work as thrived over these years and Russell believes that his business as benefited from the trust and the relationships he’s been able to build up with his clients.”They all bring their instruments to me for little tweaks, repairs and upgrades year after year". Working closely with the string teachers from the nearby and local schools have helped Russell maintain a good relationships with the pupils after they have finished their schooling. "I feel so privileged to regularly work in such a lovely town as Woodbridge, but also getting to know so many great clients, that I’m happy to say keep coming back to me". You find Woodbridge Violins at 26 Market Hill, call 01394 383150 or see www.woodbridgeviolins.com for more info.